Things are getting exciting at the Hersheypark Stadium!! 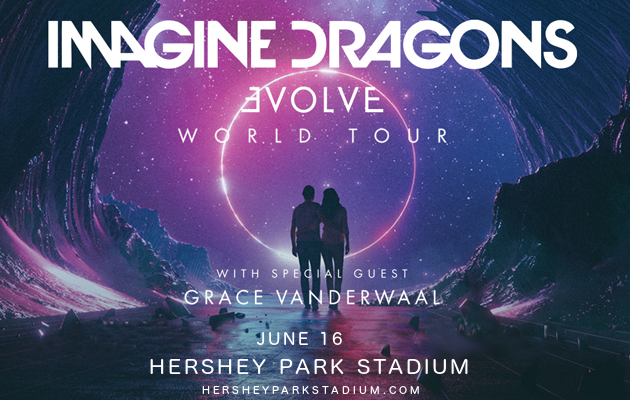 The incredible Imagine Dragons are on tour once again in 2018 with their latest album “Evolve.” With special support from Grace VanderWaal, they’ll hit the Hersheypark Stadium on Saturday 16th June 2018! Don’t miss your chance to be in that crowd – grab your tickets to see Imagine Dragons live NOW while they last!! We can hardly wait to hear it all live – can you?? No? Then be quick about grabbing those tickets, they won’t last long! !